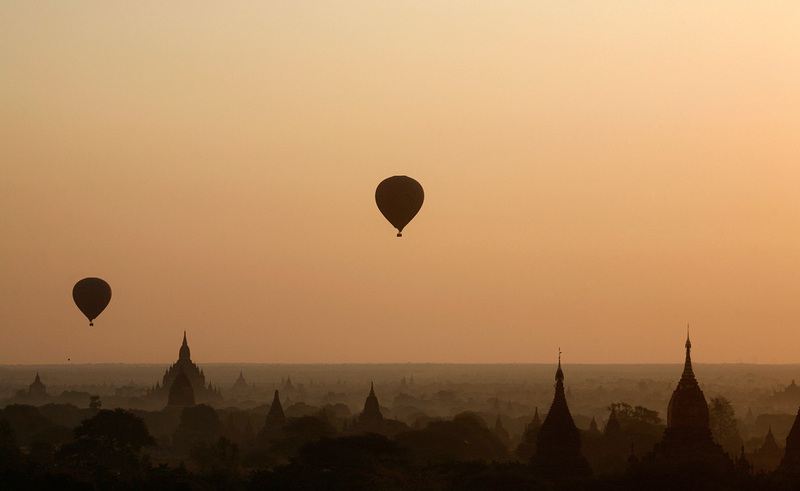 Hot air balloons fly over the temple-studded plains of Bagan, Burma on January 14, 2010. – A timely book, Trials of the Diaspora, examines the startling presence of antisemitism “in a supposedly enlightened, humane, liberal society.” Namely, England. Harold Bloom offers an excellent review. – McSweeney’s forecasts the ‘corporation-as-person’ legal meme out to its logical conclusion. – Daemon had the first murder through the internet. But now we have the first human infected with a computer virus? I think we all need to take a deep breath and rethink our whole human code of ethics. In retrospect, the launch of the TRS-80 was probably the most promising moment in RadioShack’s history — and the start of its decline. “Let’s put it this way,” Mims says. “Hobby electronics peaked with the advent of the ready-made PC. There was no longer a need for anyone to build digital displays and TTL processors in their garage or spend time messing with circuitry. Now you could spend time at a keyboard, working on an actual computer.” It was a fulfillment of a dream. But it also served as a portent that the hands-on way of life RadioShack embodied would become irrelevant. I get back from America, and end up in the middle of a Libyan anti-Gaddafi protest. News coverage is slim. But n0t all news from Britain is bad – the LibCon coalition government has announced its plans to roll back Labour’s surveillance state, and restore the primacy of some civil liberties. I finally get around to reviewing Daemon.